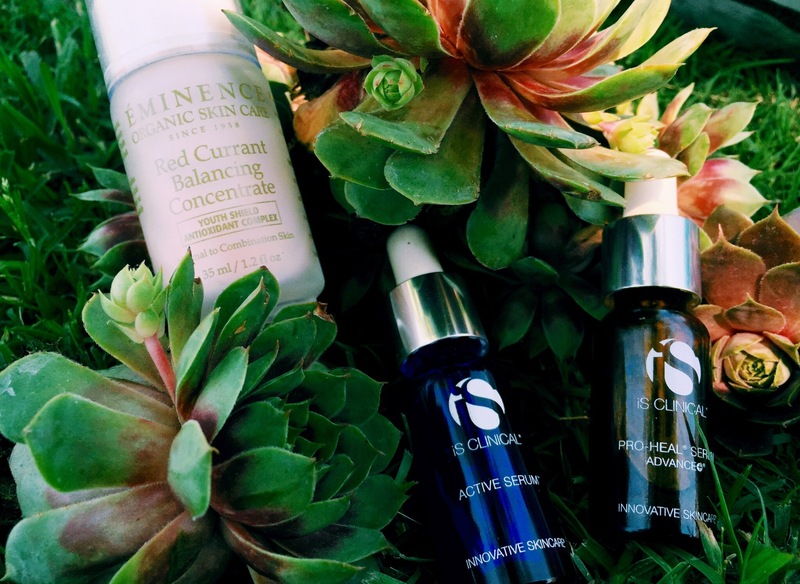 Needing a skincare pick me up, or you just don’t know where to begin when it comes to your skins health? Then I have the right recipe for you. I’m talking real meal deal of skincare. No matter if you are 16 or 60 it’s important that we take care of our skin because in the end it takes care of us. 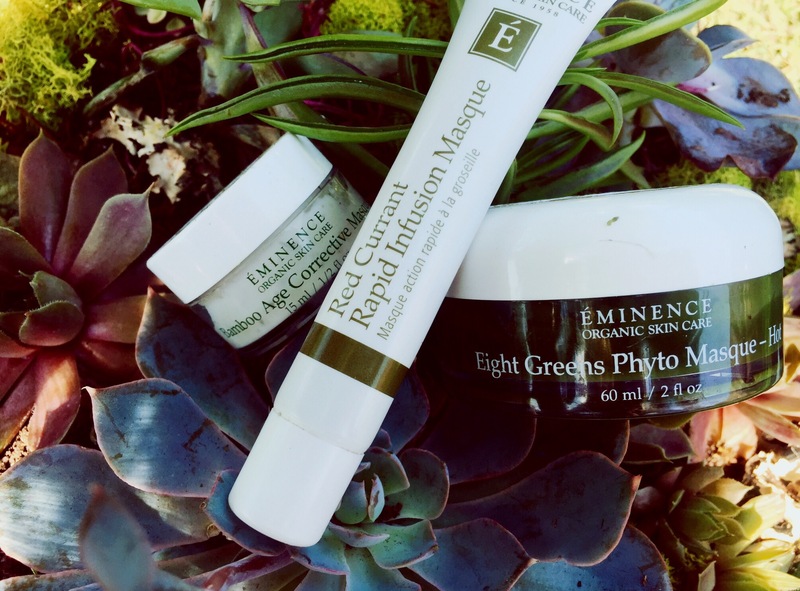 Rather you are wanting to take that extra step, a minimalist, or a little green thumb, this skin regimen is recommended for ANYONE. I admit that I used to never wash my face let alone treat it. I would sleep with a face full of makeup and yummy bacteria. I’m young so who cares right? When I started working at the spa is when I started paying attention and realized the importance of taking care of my skin. What you are putting on your skin as far as the ingredients is key. Think about it as the food for your face. Maintaining a daily regimen is important to see the best results, even for a minimalist like I once was. Let me introduce you to the fun part, the products. So I was introduced to a few products to try from a couple different lines. My favorite go to skincare product lines are Eminence, and IS Clinical. Eminence is your pure organic go to. Made for all skin types. Many different treatment products, you wont have a problem finding the perfect fit. All the products are pure concentrate so you always want to mix with a few drops of water (damp hands to damp face) so these products will last a long time. The products also smell amazing. They use plants and fruits for scent and you can just tell its the real deal, no added fragrances. IS Clinical is your cosmeceutical go to. Great for all skin types as well with lots of powerful yet safe ingredients. I find these products faster acting with great results. Very simple use, and a little goes a long ways. These products also don’t have really any scent to them which is great for those who are sensitive to scents. IS Clinical has won tons of beauty awards and is used by many celebrities if that tells you anything. Everyone’s skin and preferences are different. Fortunately I have very clear combination skin, I tend to be dryer in the winter of course but other than that I don’t have problems. So here’s my skincare regimen. I usually alternate these cleansers depending if I have a lot of makeup on. They are both gel cleansers which tend to clean your face better at least I feel like they do. These both are great for all skin types, even men use these because they get the job done and don’t have a strong smell, gentle I should say. 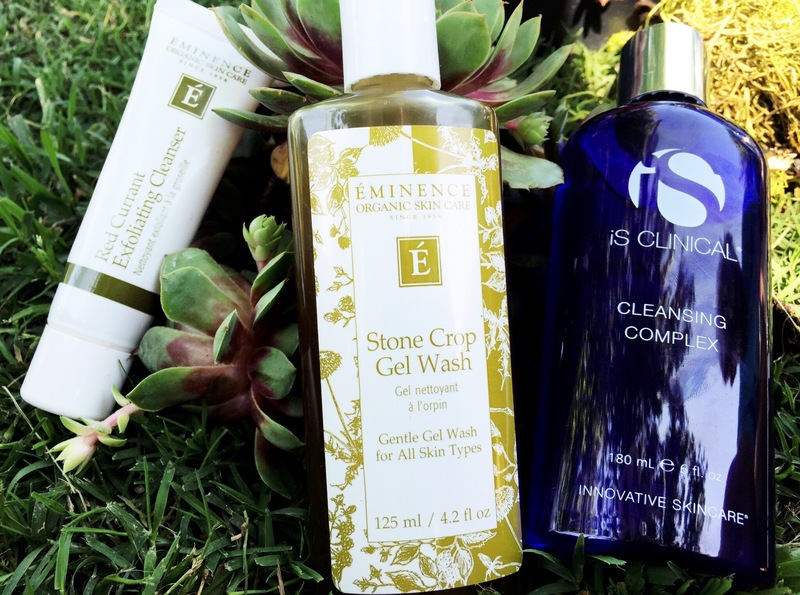 The Stone Crop Gel Wash feels amazing on the skin and cleans good, but also very hydrating. The IS Clinical Cleansing Complex does clean a little better in my opinion, so if i’m wearing more makeup I will definitely use that one. They both are moisturizing and you feel very smooth after. I splash my face and only mix about a dime size with a little bit of water and I massage my face for a minute then I rinse and pat dry. The price points are about the same but you do get more bang for your buck of the IS cleansing complex. The Stone Crop Wash is $38 and the IS cleansing Complex is $40. Both lines carry different cleansers for different types of skin but these are the most basic and made for all types, they last forever too. I exfoliate twice a week, its not something you want to do every day. The Red Currant Exfoliating Cleanser is part of the Youth Shield starter set which is a great kit for combination skin. I love the Eminence starter sets because you get to try a little of everything and find out what you like, they also make good for traveling. I’m definitely going to purchase the full size of the cleanser though. This is a gentle exfoliator and I usually use this after I cleanse just to get a deeper cleanse. Its balancing and hydrating as well. The Bright Skin exfoliating peel pads are AMAZING, these are a newer product which they have for different problem types of skin ( Bright, Calm, Firm, Clear). I chose the bright skin because it gets rid of any redness and gives you a wonderful glow, great for hyperpigmentation. This kit comes with the pump and the applicators all in one, so you just get the pad and place on top of the container and give it two pumps and rub your face in circular motions until all the product is absorbed. You will leave this on let that absorb into your skin before you put any other products on. I do this twice a week and it definitely gives me a glow the next day. I love it because you just leave it on your face and go. 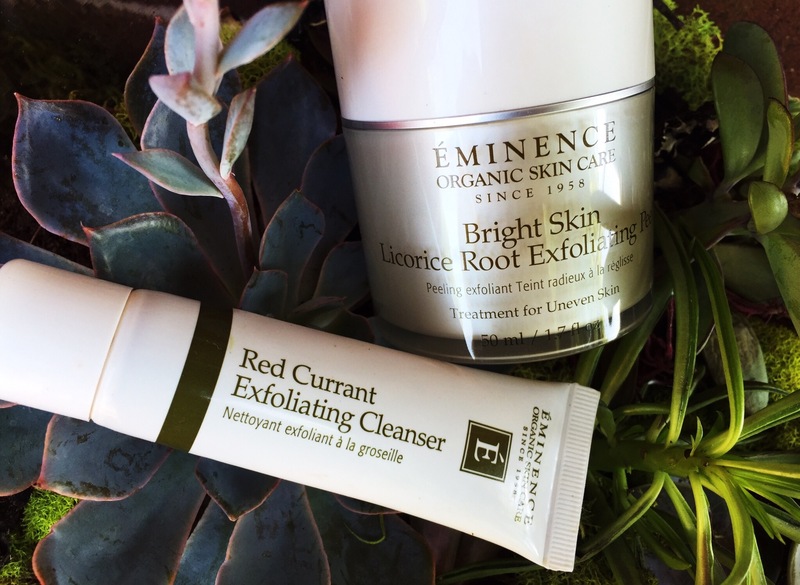 The Red Currant Cleanser retails for $38 and the Exfoliating Peel Pads retail for $79. Using a masque 2-3 times weekly is also a good way to purify your skin. There’s SO many awesome masques out there but I only use a couple and I use different ones depending on how my skin is acting. The first one I’m going to talk about is the Red Currant Masque out of the starter set. I use this as my basic masque. Its balancing and hydrating and when you apply it its very cooling to the face. The next masque I use is the Bamboo Age Corrective Masque. This one is great for dehydrated skin. 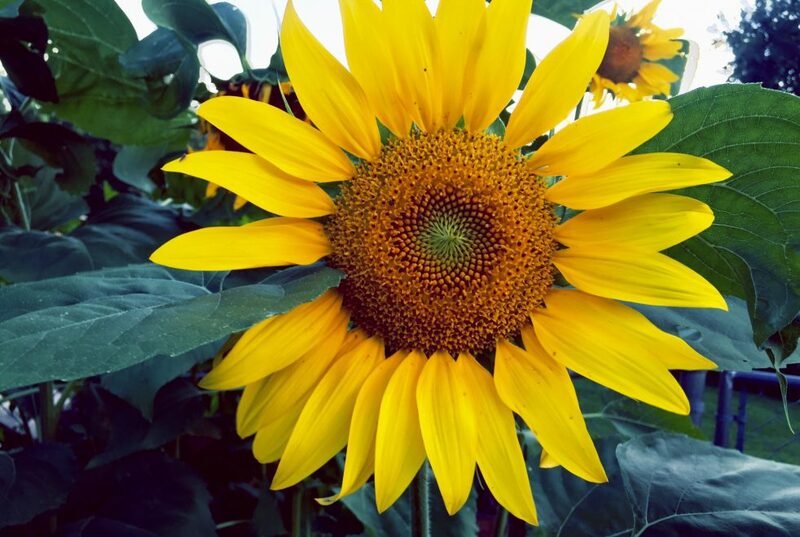 It has a natural retinol in it which helps with lifting and tightening. It’s very hydrating and revitalizing. Last but not least is the Eight Greens Hot Masque. I use this when I want my face to burn off… JK, but this baby gets pretty heated. Its great for hormonal acne, which happens at times. This is also great if you just want to restore your skin which the paprika in it stimulates the face making it red, but after it leaves you glowing. They make this same masque without the paprika if you cant handle the heat. I’ve learned that the more water you mix with it, the less heated it gets. You can also use the Red Currant masque to cool your face off. All these masques you can mix the water in depending on thick you want it. You can also mix the masques together so you get more benefits. Its fun being a skin chemist. Leave on 5-10 minutes and wash off. All three of these are retail for $54. * I recently tried the IS Clinical Coolmint Revitalizing Masque and OMG its my new favorite. In fact, it just won a New Beauty award. Its packed full of awesome ingredients, hyaluronic acid, aloe vera, and licorice root to name a few. If your skin is a little dull and needs a pick me up, this is your number one fan. Very soothing and hydrating leaving you with a healthy glow. So after your face is clean and exfoliated and your pores are open its good to give your skin a special treatment. I don’t have any major concerns about my skin but to keep it looking the way it does, I like to give it a boost. Serums are great add on to your skin regimen and they can really tackle any problem areas. So I have a day and night serum I use everyday. First I start with the Red Current Oil Balancing Concentrate. (I know im obsessed with the youth shield kit) I actually purchased the full size of this because it works so well. This is used for helping combination skin like mine, it balances out and gives moisture without making you oily. It also helps with redness I’ve noticed. A little goes a long ways so its definitely worth the buy. I use this once a day usually in the morning. Another one I use in the morning is the Pro-Heal Serum from IS Clinical. I actually got this product as a gift for completing the IS university course online, its something really awesome they offer. You basically learn all about skin care and their products and you take a few quizes and then they send you two free full sized products, they do this every quarter. Total score! The Pro-Heal Serum has a load of Vitamins and is great antioxidant and UV protectant, and its definitely something to use for a healing agent, and treats acne breakouts. Only takes a few drops to apply, also a great makeup primer because it makes you skin kind of tacky. For night time I use the IS Clinical Active Serum. I absolutely LOVE this stuff. It works wonders. This also helps with acne break outs and big pores. This stuff is great for brightening and softening the skin, it leaves me glowing and heals acne fast. It kind of tingles a little when you first apply but not bad, it only takes a few drops as well. All of these are powerful products that can be used for mote than just one problem which is what I like. The Red Current Balancing Concentrate retails for $58. The Pro-Heal Serum retails for $82. The Active Serum retails for $80. This is probably the most important step because everyone needs a good moisturizer. Many people get oil and hydration mixed up. People with oily skin don’t think they need a moisturizer but really they do because they are still lacking good hydration. Obviously the more water you drink the better your skin naturally hydrates. No matter what, if you have oily or dehydrated mature skin it doesn’t matter, you still need it. That’s why they make many different kinds because it can be tricky when picking a good moisturizer, some can be too much some can be not enough. I have combination skin, usually get a little oily on the t-zone by the end of the day. I use two different moisturizers, sometimes I mix them if I’m feeling more dry. One of the ones I use is the Bright Skin Moisturizer from Eminence. 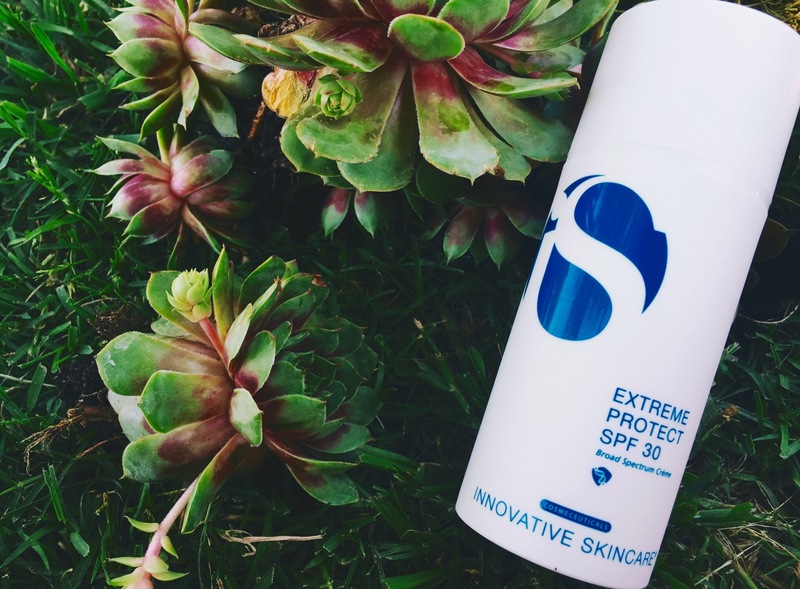 It has SPF 30 in it which is great for the day time. I really like this moisturizer because you can make it as thick or light as you want. At night I don’t use any water I just put it straight on my face, during the day I tend to like it lighter so I mix a little water with it. It doesn’t have a super dewy finish but it does brighten the skin. Its main purpose is to help hyperpigmentation, which will help those dark spots. Another moisturizer I use is from IS Clinical and its their Youth Complex. I got this for completing the IS University course and its definitely a powerful product. One of its main ingredients is hyaluronic acid which is super key for aging skin. I like this because it only takes a small amount and its very hydrating but not over the top. I usually mix this in with the Bright Skin moisturizer to give it a boost. The price is a little too high for my preference and needs, but its a very good choice for mature skin. You only need a pump or two and it covers the whole face and neck. The one I love to death is the IS Clinical Moisturizing Complex. This is my ride or die. I used a sample of it and I absolutely fell in love so then I purchased a full bottle and I’ve been obsessed. It has a very dewy feel and its very light yet does a really good job hydrating and makes you look very refreshed. Its also very inexpensive compared to the Youth Complex and has a lot of the same ingredients. I would recommend this for people like me, needing something not too heavy, but a refreshing look and at a good price. You cant go wrong with it. Lastly, you cant forget about those eyes. 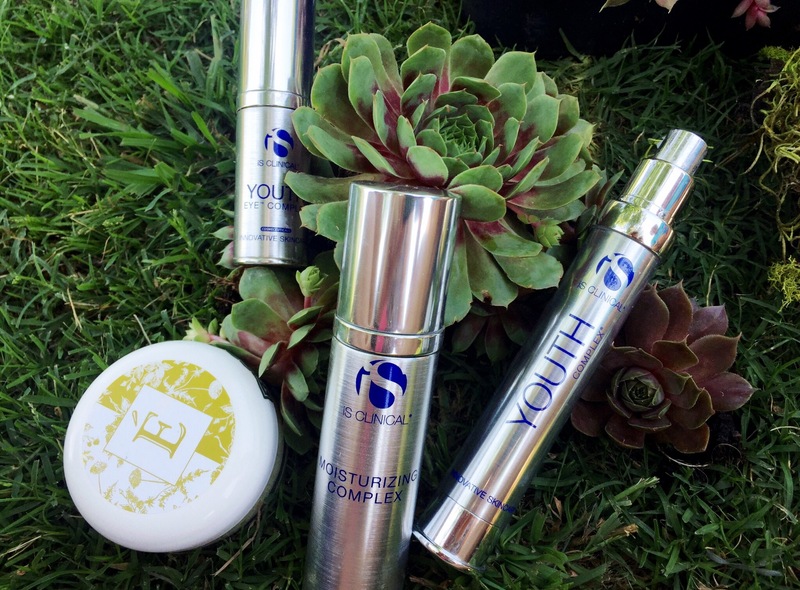 I use the Youth Eye Complex from IS Clinical. You only need a little bit but it definitely helps with those dark puffy circles and wrinkles. I see fast results with this. After you moisturize you want to dab some of this under and around your eyes, if you have excess just dab it around your smile lines. It only takes a half pump really. The Bright Skin Moisturizer retails for $58. The Youth Complex retails for $148. The Moisturizing Complex retails for $83. The Youth Eye retails for $95. Don’t forget to protect your skin from those nasty sunburns. I use the IS Clinical Extreme Protectant SPF 30. It applies thick so you really have to rub it in, but I feel like it covers well. It has a funny smell when you first apply but it goes away fast when it sets in, and you don’t really feel like your drowning in sunscreen. The only downfall is that its not sweat or waterproof, its a little pricey, but I’ll take the healthy ingredients it has. This retails for $68.